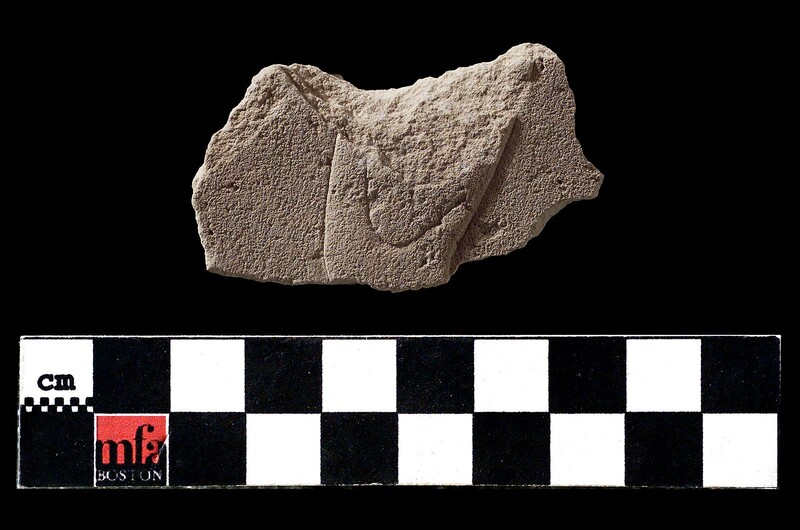 Fragment with one dressed surface, raised relief. Part of leg(?). No pigment. From Giza, G 7560 a. 1929: excavated by the Harvard University–Boston Museum of Fine Arts Expedition; assigned to the MFA by the government of Egypt.